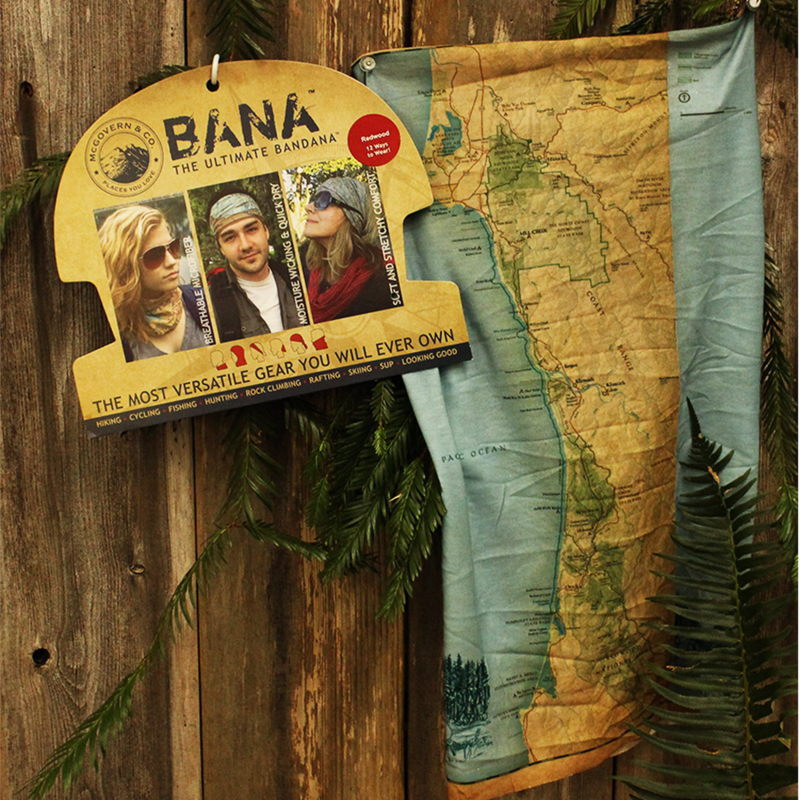 The Bana is a bandana with a map of Redwood National and State Parks on it. This is a one piece slip over type of bandana, UPF 30+ protection, breathable microfiber, wicks moisture away, soft, stretchy and comfortable. Can be worn 12 different ways!